At the Monday, Sept. 11 Moorestown Township Council meeting, residents questioned how council is taking steps ahead on affordable housing, the public work’s roofing and Strawbridge Lake. Moorestown Township Council fielded questions about housing, roofs and lakes at the meeting held in Town Hall on Monday, Sept. 11. Residents were eager for more information as several individuals, during public comment, questioned council’s handling of agenda items. Council passed three resolutions related to affordable housing. Council authorized the expenditure of fees from the Affordable Housing Trust fund to pay consulting services related to the development of the township’s affordable housing plan, but members found themselves in a difficult position as ongoing negotiations with the Council on Affordable Housing left them tight-lipped on the subject when asked. Resident Peter Miller inquired about opportunities for the public to comment as the township develops its affordable housing plan. “I just thought that there would be some kind of public meeting,” Miller said. Councilman Michael Locatell said any action will require a public meeting. “We can discuss why that is a consent agenda cost but not the details of what’s going on with COAH at this point because of the negotiations that are going on,” Locatell said. Township manager Thomas Merchel said the township is still trying to work through the number and how it will meet its affordable housing obligation. Merchel emphasized that meetings related to the township’s affordable housing plans are still ongoing. Resident Michael Babcock made more headway at getting council engaged in discussion when asking about the ordinance up for second reading authorizing $865,500 in bonds or note for the replacement of the roofs of the Department of Public Works Building and various sewer treatment plants buildings. Babcock questioned what consideration the township had given to the possibility of mold at the public works building due to leaks in the roof. Merchel said there is a $170,000 contingency built into the project. Councilwoman Lisa Petriello echoed Babcock’s sentiment regarding the possibility of mold. She said the township knows there is damage to insulation, internal walls and ceiling tiles, and she inquired in if there was some way they could be more proactive about planning for the possibility of mold. “With this building, I can’t imagine that there isn’t mold somewhere,” Petriello said. Locatell said it’s difficult to design for “things we don’t know are there” but clarified that is why contingency money is built into the ordinance. Councilwoman Victoria Napolitano said it didn’t make sense to build more money into the project when the township doesn’t know if there is mold. She said if the township does come to find mold, council could authorize a change order to finance the removal. The ordinance ultimately passed unanimously. Council also authorized the funding of $34,000 from the “Moorestown Open Space, Recreation, Farmland and Historic Preservation Trust Fund” to be used for environmental improvements to Strawbridge Lake. Resident Brian Thomas questioned council’s methods for dealing with the spatterdock plants growing in the lake. He said removing the plant mechanically is futile. “It’s just almost impossible to get every shred of root and if you leave one shred one in there, it’s going to eventually grow back,” Thomas said. Thomas suggested that council look into chemically fixing the phosphorus content in Strawbridge Lake’s water. He said removing the phosphorus in the water cuts off the spatterdock’s food source, and while this method is not a permanent fix, it addresses one of the underlying contributors to the plant growth. “If we’re going to do it, we need to be looking at the root causes,” Thomas said. Merchel said efforts are underway to get some of the lake’s minnow ponds dredged, and the township is looking into grants to clean up the lake’s silk basins. Locatell suggested asking the Moorestown Environmental Advisory Committee to trying to find grant money. “In the long-term, I think that’s what’s going to have to happen; I think we’re going to have to dredge the lake,” Locatell said. 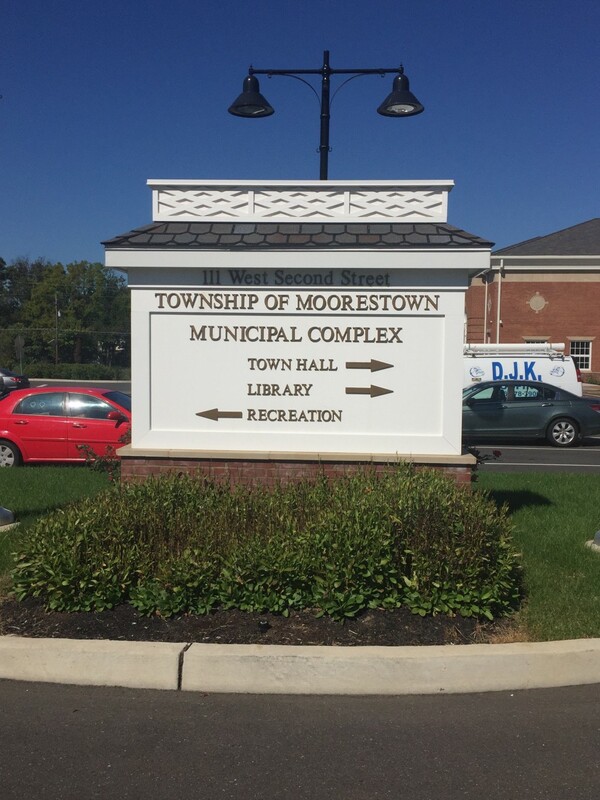 The next meeting of the Moorestown Township Council will be on Monday, Sept. 25 at 7 p.m.